Last Friday many mobile new websites, including BGR.com, reported that HP has aspirations to build another line of smartphones. Today, BGR ran another story indicating that not only are plans underway to develop a new line of smartphones, that a test device, code named "Bender", has already been created and is being tested. The kicker? The prototype device is said to be running Google's Android 4.0 Ice Cream Sandwich (ICS) operating system. Huh? After HP ingloriously put Palm webOS, Palm's hardware, and people out to pasture HP is trying to jump start things again with an Android phone? I'm sure this is very frustrating for WebOS's fans. HP said that they wanted to get out of the smartphone business when they shutdown production of the Pre3, Veer, and TouchPad - the last three webOS devices - and then making webOS open source. Then a year later, things are going gang busters again? This seems totally inefficient to have a smartphone and mobile OS division up and running, shuttering things, and then rebuilding a hardware and software team to, essentially, re-inventing the wheel with a new hardware platform and Android ICS. To be fair, I can see why HP decided to go with Android over their in-house webOS hardware and software software assets. Android, and Apple's iOS, have gobbled up an insane amount of marketshare in the mobile space. webOS, even in it's hay day, back in 2009 when the original Palm Pre launched on Sprint, never achieved a significant foothold. When I chose to switch from the Sprint Palm Pre to the iPhone 4S in 2011, webOS was below 2% marketshare. If you are trying to become relevant in the smartphone space, you need an option that will draw customers, developers, and carriers to your platform. webOS isn't that platform. Just ask Nokia, Research in Motion (RIM), and Microsoft about their efforts to increase their smartphone marketshare. But, seriously? This seems like a gigantic waste of time, money, staff resources, and momentum. Apple, Google, Microsoft, Nokia, and RIM have all realized that they need to control the customer experience "end-to-end" from the hardware and software, to the online software store, and ultimately, the customer experience. This tight integration has propelled Apple and Google to amazing heights and others are trying to replicate it. Palm, with webOS and their webOS device line up, offered the kind of solution that HP is trying to fabricate with Android and new hardware. If I was an HP shareholder, I would be furious at the opportunity costs associated with tearing everything down, and then, essentially, outsourcing the software development to Google, and ultimately, putting Google in the driver's seat for the software development of HP's new 'gotta do it' smartphone strategy. At the end of the day, the only thing that is clear for me, is that I won't be replacing my iPhone 4S with a new HP smartphone. 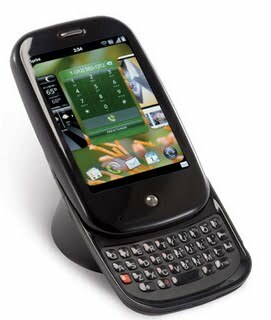 I've made my peace with webOS and will remember Palm fondly.